Myles Nakashima, co-owner of Pukalani Superette (from left); Jenny Miller, development director with the American Heart Association; and Aric Nakashima, co-owner of Pukalani Superette, are shown during the check presentation. 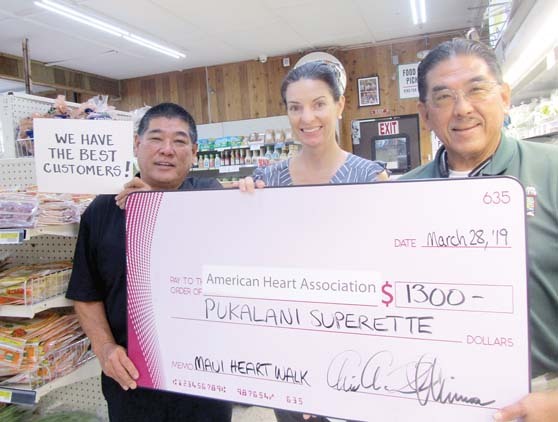 Thanks to donations from its customers during the month of February, Pukalani Superette was able to donate a total of $1,300 to the American Heart Association. Store owners Aric and Myles Nakashima presented the check to Jenny Miller, development director of the American Heart Association, on March 28. The American Heart Association is dedicated to fighting heart disease and stroke, fighting for stronger public health policies, and providing critical tools and information to save and improve lives. 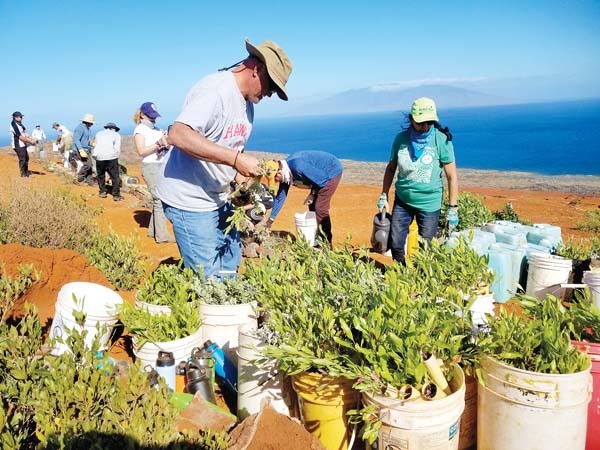 The public is reminded that the annual Maui Heart Walk, hosted by the American Heart Association, will take place on April 20 at Keopuolani Regional Park in Kahului. To donate or register to walk, visit www2.heart.org or call Joann Yang at (808) 377-6646.